Rush Hammersmith re-opened its doors on Saturday 19th March 2016 with new owners, Ruby and Josie. 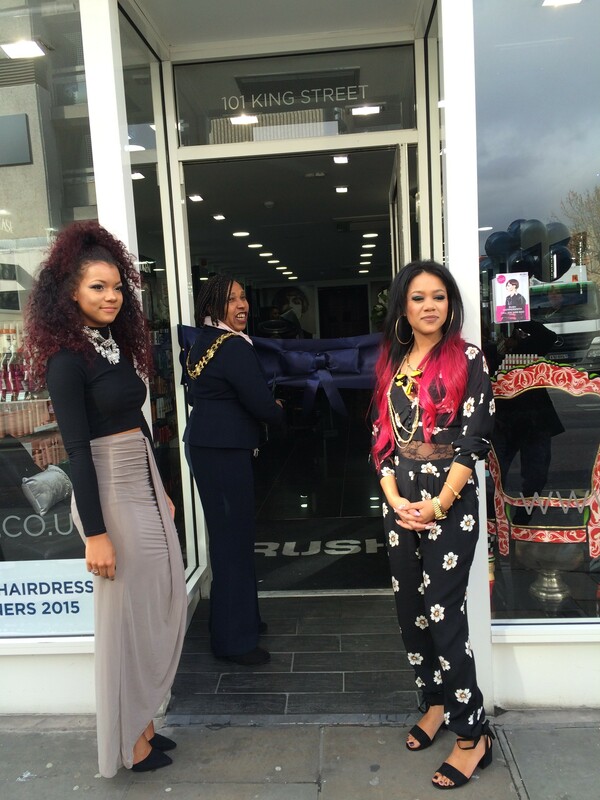 The two sisters bought the salon as franchisees and have relaunched it with their own creative flair. Ruby and Josie are young, ambitious franchisees who have a background in both hair and beauty. They wanted to bring something different to their new salon in Hammersmith so have added manicure and pedicure services to increase their business. The sisters have launched a brand new glitzy Essie nail bar and a pedicure area on the salon floor. There are various options to join Rush as a franchisee, you can open a salon in a new location or take on an existing Rush salon either individually or as a partnership like Ruby and Josie. Rush franchisees are encouraged and supported with their creative business ideas and each Rush salon interior is designed to suit the location and the franchisee. Ruby and Josie have added some glitz and glamour to Rush Hammersmith and are excited to own and manage their new salon. Interested in franchising with Rush? We would love to hear from you!